The project's extension directive promotes participatory exchange of climate and agricultural knowledge among farmers, extension educators and the project team. 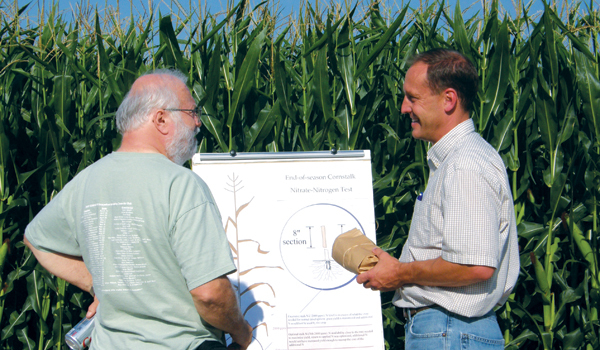 An expansive network of established and newly initiated farmer groups serve as the structure for evaluating the crop management practices being tested across the field research sites. 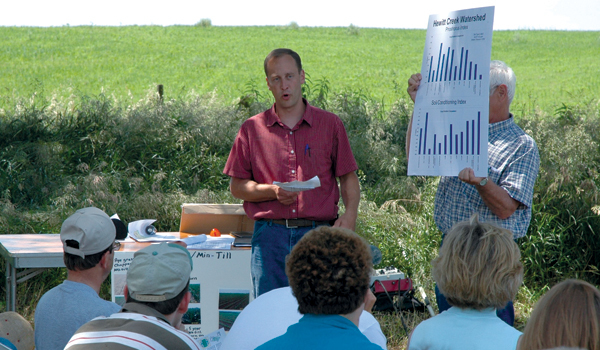 Extension professionals are experienced in testing new technologies, strategies and group techniques to encourage farmer learning and implementation of appropriate adaptive management approaches. 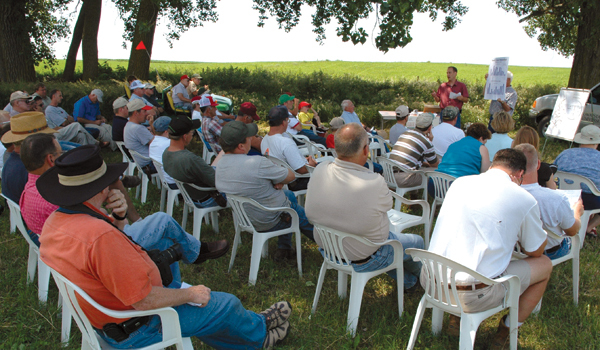 Farmer participants attending a field meeting in Iowa. 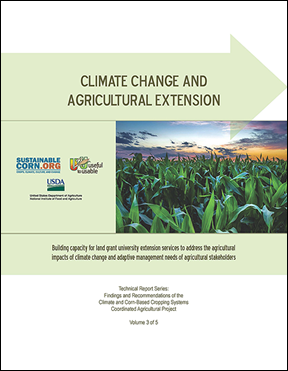 This 40-page report provides findings and recommendations for building capacity for land grant university extension services to address the agricultural impacts of climate change and the adapative management needs of farmers and their advisers. 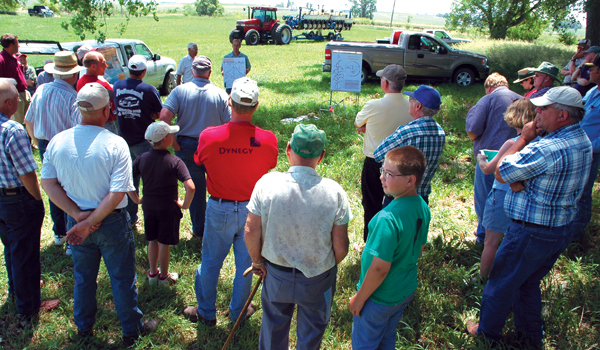 The publication is a resource for extension educators and other farm advisers, as well. DOWNLOAD. Project videos discussing the issues and our research. 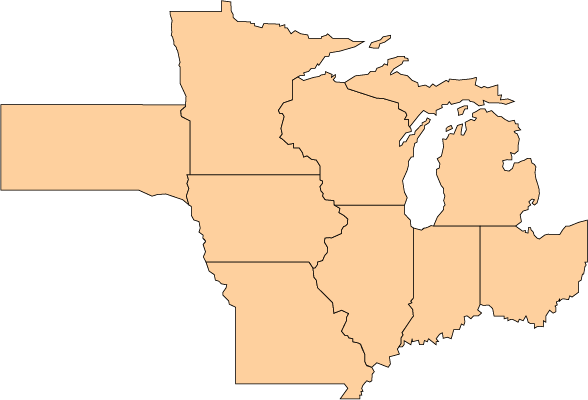 Click on a state below for Extension Educators. 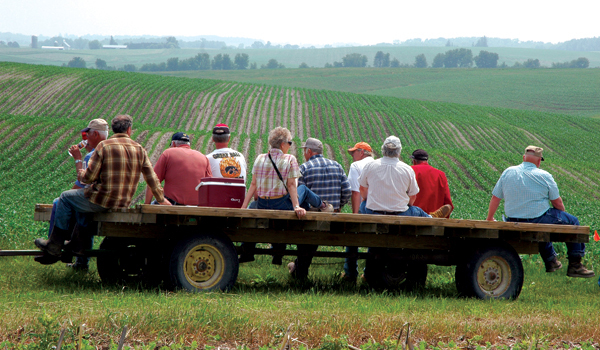 Farmers and scientists in the Corn Belt discussing cover crops, weather, tillage, drainage water managment and much more. .